Meet Valkyrie! 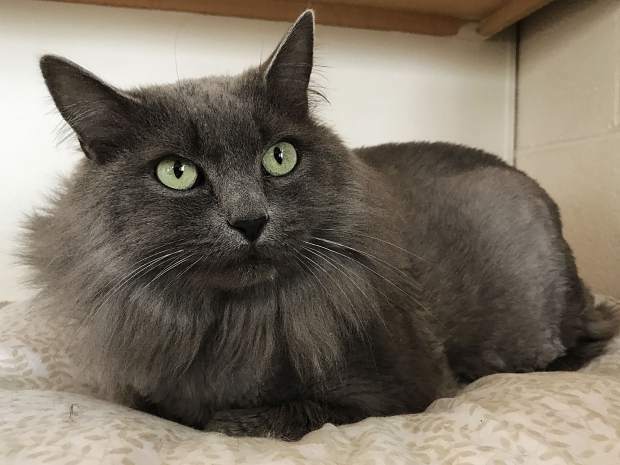 She is a 6-year-old grey fluffball. She is gorgeous and although a bit timid right now, she enjoys affection and will love everyone who loves her back. She could live with other cats, kids and even a mellow dog that will give her space. She was surrendered here at no fault of her own and wants nothing more to find a loving family to call all her own!